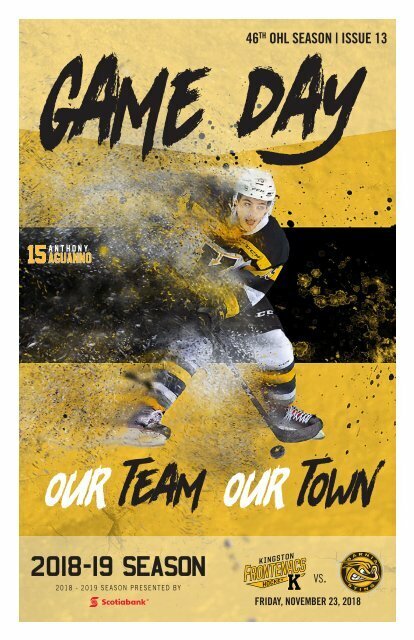 The Official GameDay Magazine of the Kingston Frontenacs of the Ontario Hockey League. Home game 13 of the 2018-19 OHL Regular Season, Sarnia Sting vs. Kingston Frontenacs. Page 26 and 27: “Big or Small... We Move It All!